Sonic waves for your heart. VELOSONICS - brand new Pop-Rock libertine band gathered from Bucharest.
" 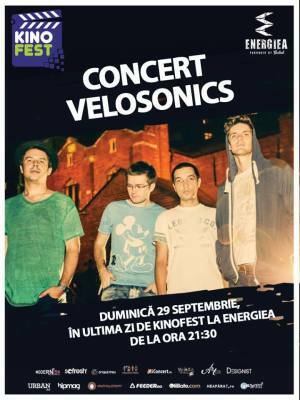 VELOSONICS CONCERT @ ENERGIEA" Concert in Bucharest. You can get here description, reviews, address, time and details of " VELOSONICS CONCERT @ ENERGIEA" Concert in Bucharest. Visit Bucharest Tips for more Concert events in Bucharest!